Roka is the first official ceremony once your wedding gets fixed. 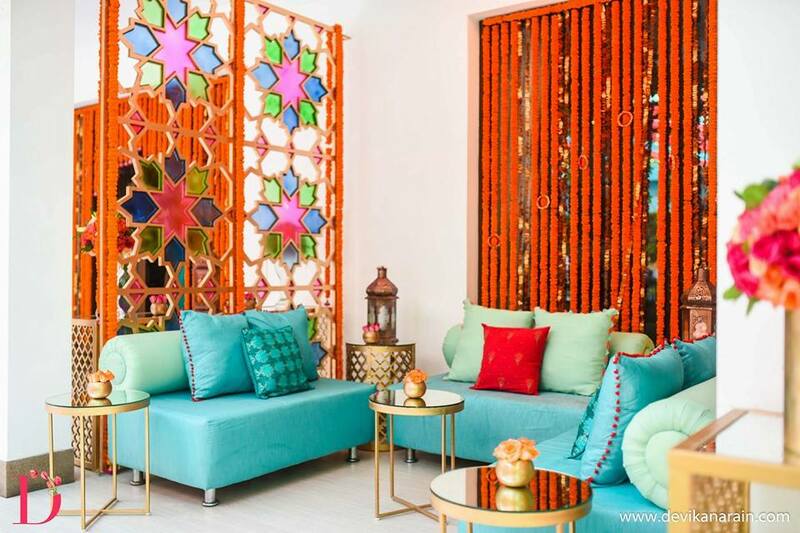 Here are some awesome decor ideas for all you pretty brides planning roka function on a budget. 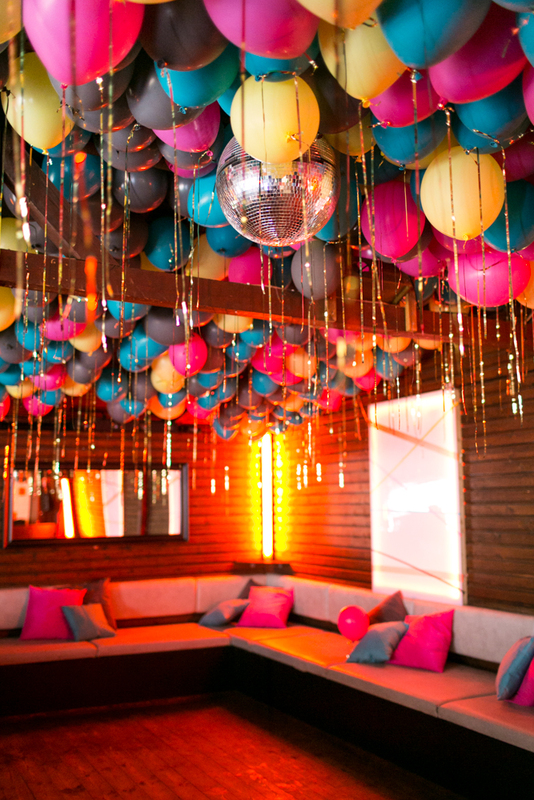 Helium balloons are one of the most attractive and easy installations for any home setting. Mix-match for a pop of colours or keep it gold or white if you want a sophisticated decor. 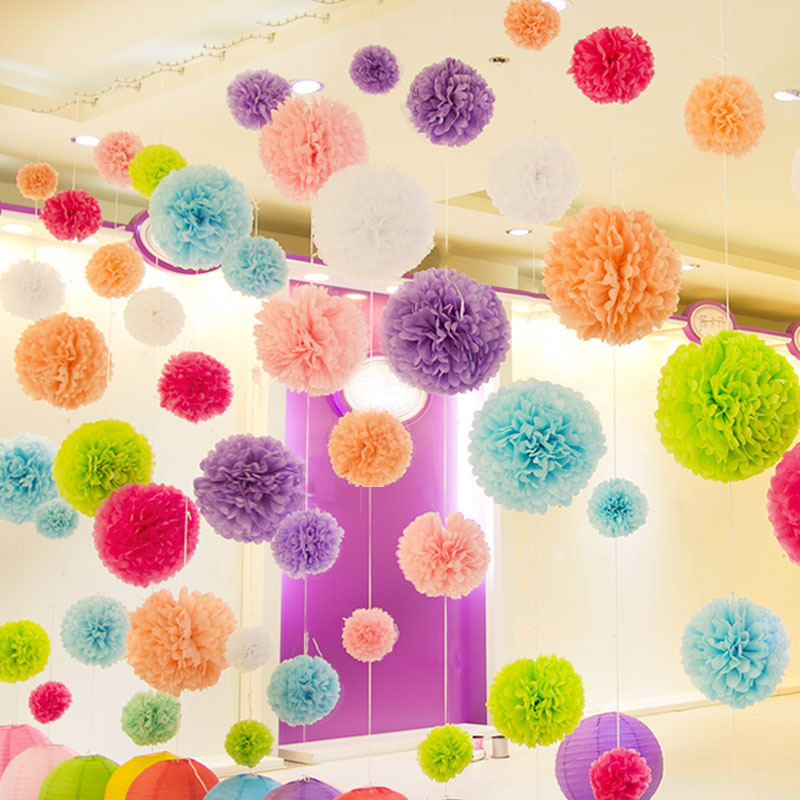 Get creative with some pastel papper ruffled into these crafty hangings. Stick them all across the ceiling and anyone who enters your home will be awestruck. You can even make some paper fans or little craft props to decorate dining tables or walls. Switch the boring centrepieces or welcome mats with some interesting floral decor ideas. 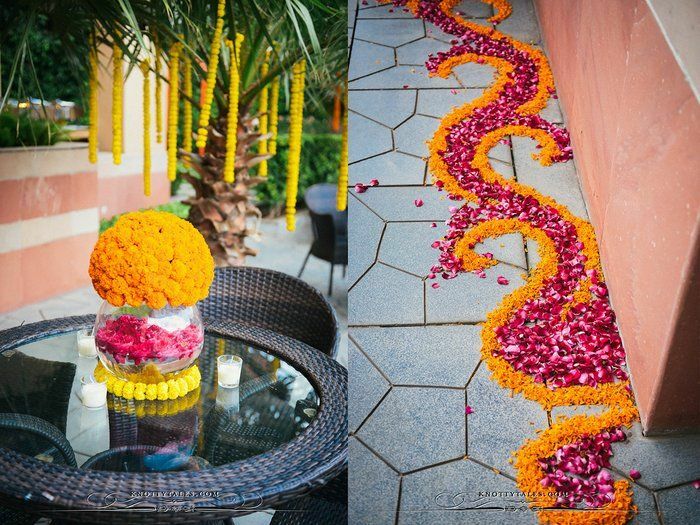 You can make simple rangolis with rose petals and marigold too. It will not only brighten up your home decor but also add some natural fragrances in the atmosphere. 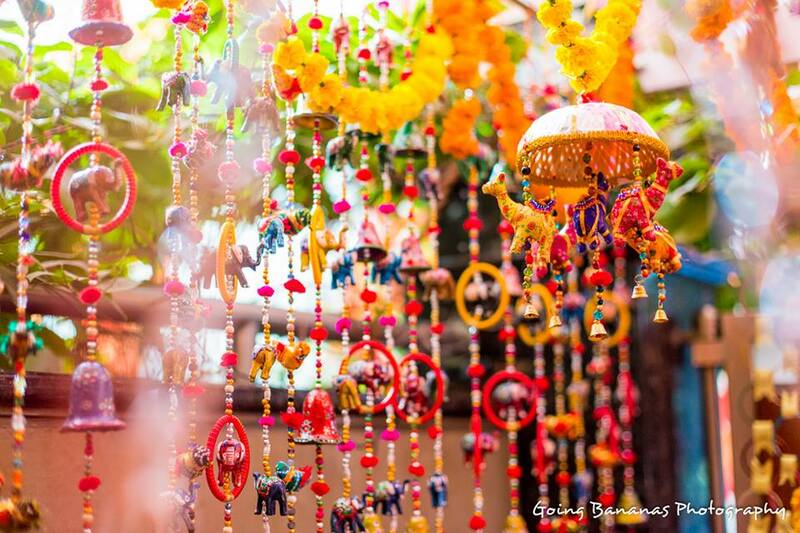 A few strings found in handicraft stores don’t cost much and take your decor from flat to fab. You can even try a mix of glass bangles tied in a string with colorful ribbons. They look simple yet amazing as a backdrop for your Roka pictures. 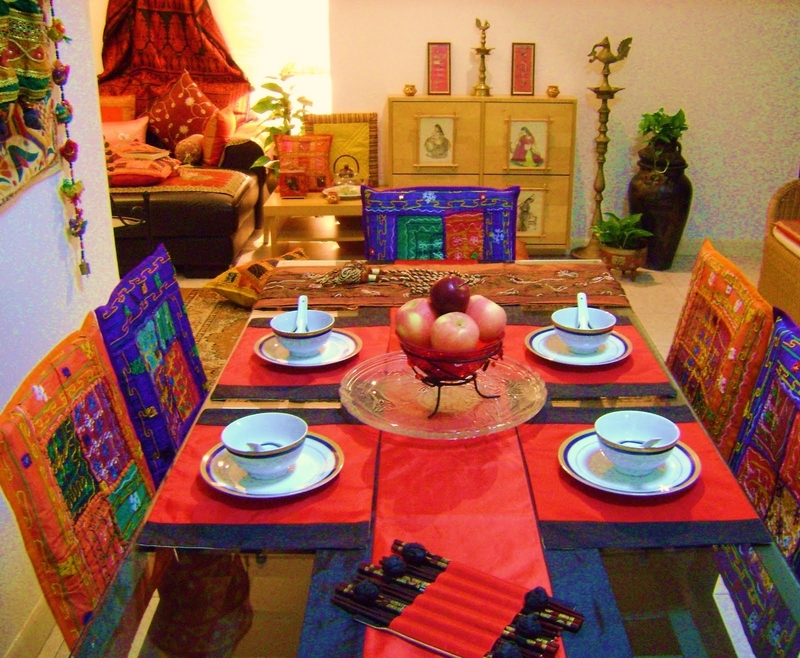 All you need here is some fancy cushions, a floor rug, lanterns and your mom’s sarees or dupattas. An ethereal Roka Ceremony decor will be ready in no time. For a larger gathering, this is the best way to make that extra space and have fun. For a traditional ceremony like Roka, it’s best to use ethnic yet natural elements in your decor. 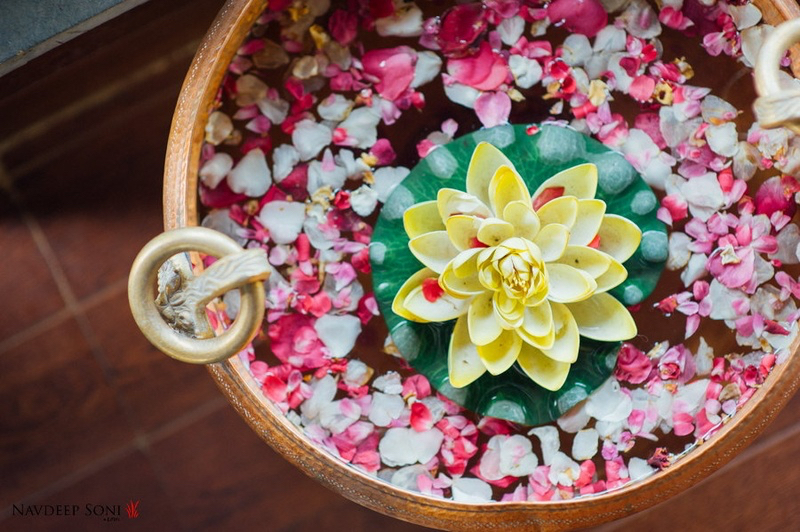 Flowery, floating candles in a potful water is just the simplest way to prettify your place. The best conversations happen over the lunch/dinner table that follows the ceremonies. Highlight your food space with cute, personalised props and elegant setting. Your in-laws will be impressed by the effort.